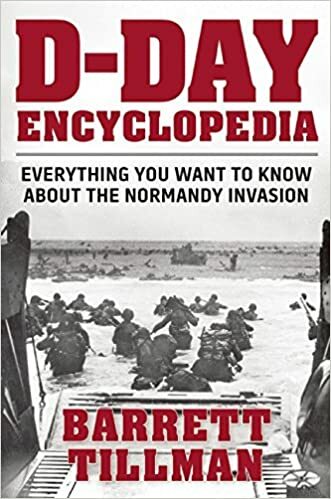 The following article on D-Day landing craft an excerpt from Barrett Tillman’ D-Day Encyclopedia. It is available for order now from Amazon and Barnes & Noble. Hundreds of landing barges were specially outfitted for Overlord, serving a variety of purposes. 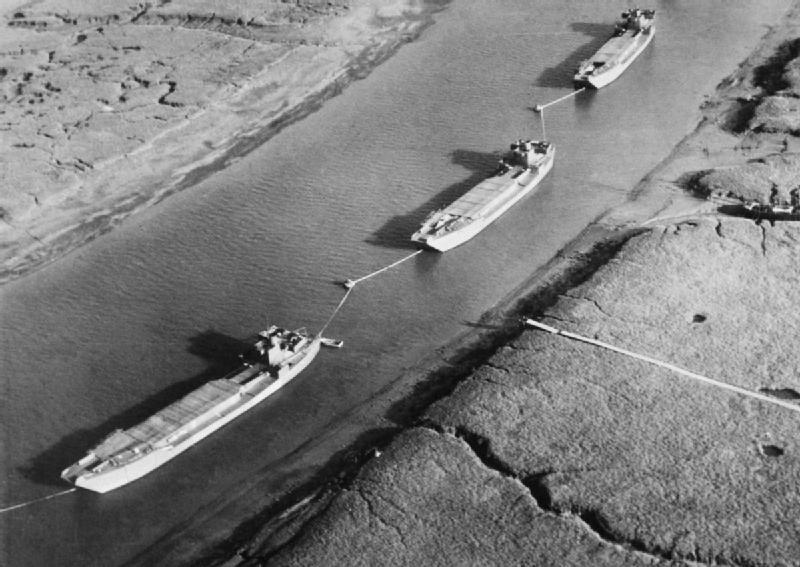 LBs were equipped for emergency repair work (LBE), as flak batteries (LBF), as floating kitchens (LBK), as oil barges (LBO), for delivering vehicles (LBV), and for providing drinking water (LBW). In all, 433 landing barges were assigned to the invasion, including 228 LBVs. The British variant of the Higgins Boat (LCVP) differed primarily from the U.S. design in being lightly armored. Consequently, the LCA was heavier than its American counterpart and sat lower in the water. The Royal Navy had 646 in Britain during early June 1944. The U.S. Navy reported seventeen LCA (Utility) craft destroyed off Normandy prior to the major storm of 17–18 June. The volume of offshore traffic anticipated at Normandy led to construction of control D-Day landing craft to direct amphibious forces to the proper beaches. Somewhat larger than an LCVP, the LCC had a deckhouse and multiple radio antennas to perform its mission as a navigational leader. On D-Day few American D-Day landing craft reached shore in their planned sectors owing to strong currents and to the particular confusion at Omaha Beach. However, sector commanders in LCCs were able to improvise in many cases, directing LCVPs, LCIs, and other craft to suitable landing areas. Largest of the troop transport craft, ‘‘Elsie Items’’ were 160 feet long, displacing some 385 tons and capable of fifteen knots. They carried almost two hundred fully armed troops, the equivalent of an infantry company or more, debarked by catwalks that lowered from either side of the bow. Other variants were LCI(G)s, heavily armed gunboats with 20 and 40 mm weapons as well as three-inch cannon. LCI(M)s were equipped with heavy 4.2inch mortars in addition to 20 and 40 mm guns, while LCI(R)s were mainly employed in the Pacific, with five-inch rocket launchers. One soldier who crossed the English Channel in an LCI said that in a seaway it combined the movements of a roller coaster, bucking bronco, and a camel. 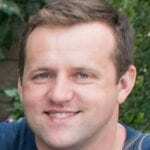 Neptune-Overlord involved 247 LCIs, evenly distributed between U.S. and Royal Navy units. U.S. Navy losses included nine LCIs during the landings. Nearly a hundred were listed in the Mediterranean and 128 with American forces in the Pacific Theater of Operations. Powered by three 225 hp diesels, LCMs could make ten knots en route to the beach. They were the largest craft normally carried by attack transports, each capable of carrying 120 men, a medium tank, or thirty tons of cargo. The common variant was the fifty-foot Mark III, which was equipped with winches and anchors to back itself off the beach for a return trip to its transport. 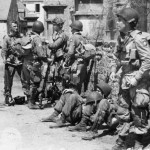 Eight U.S. LCMs were lost off Normandy. In all, 486 LCMs were committed to Operation Neptune, including 358 of the LCM-3 version. The total was almost evenly divided between the U.S. and British navies. Additionally, the U.S. Navy counted almost 1,200 LCMs in the Pacific Fleet, while the Allies listed 280 in the Mediterranean. These specially configured craft were equipped to provide fire support to assault troops crossing the beach. LCS craft came in different sizes, designated LCS(L) and LCS(S), for large or small. The most common variant was thirty-six feet long, capable of taking guns or rockets close to shore, where it could help suppress enemy fire. LCTs were usually built in three sections and transported to their debarkation port for welding together into their 120-foot length. The LCT-6 carried three medium tanks or two hundred tons of cargo. The types LCT-1 to -4 were British models, while the LCT-7 evolved into the LCM. With flat bottoms for beaching on the hostile shore, LCTs were notoriously difficult to maintain on course in strong winds or currents. British-built LCTs were powered by two diesels, providing a maximum of ten knots. They were larger than their American counterparts, measuring 192 feet long by thirty-one wide with a three-foot, ten-inch draft. At 640 tons, they were crewed by two officers and ten men and could carry five Churchills or eleven Shermans. A typical loadout for an American LCT was four DD tanks and four jeeps with a trailer filled with ammunition and supplies. The magnitude of the invasion is partly illustrated by the fact that 873 LCTs were involved, of which 768 were committed to the sixty-four flotillas delivering troops and equipment to the five beaches. The balance were mainly LCT(A) and (R) craft with artillery and rocket-firing batteries aboard, respectively. Twentyfour U.S. Navy LCTs were destroyed off Normandy as of 17 June. By comparison, 108 British and American ‘‘Love Charlie Tares’’ were on hand in the Mediterranean, and 140 were available for the Pacific Theater of Operations. The most familiar type of amphibious craft in the war, LCVPs carried platoon-sized units of some thirty-six infantrymen, or a single vehicle, or five tons of cargo. 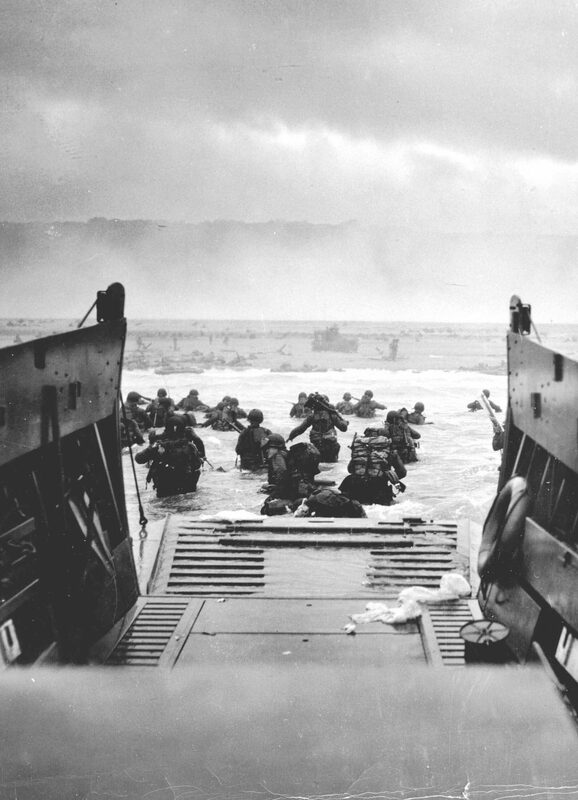 The troops or cargo were debarked over a retractable bow ramp, permitting direct access to the beach. LCVPs were built to various capacities but were all powered by a 225 hp diesel or a 250 hp gasoline engine and typically were thirty-six feet long with a beam of ten feet, ten inches. Built of oak, pine, and mahogany, they weighed fifteen thousand pounds empty. Their light weight and powerful engines drove them at twelve knots. The propeller was recessed and protected by a shroud that prevented fouling in shallow water. Each craft had a three-man crew of coxswain, engineer, and crewman. The latter could man one of two .30 caliber machine guns that were often mounted. Developed in 1941, ‘‘Love Charlie Victor Peters’’ arrived in the fleet the following year and were produced in vast numbers. On D-Day the U.S. Navy had 1,089 LCVPs in the United Kingdom, of which 839 were used to shuttle Allied soldiers from the invasion transports to the Normandy beaches. 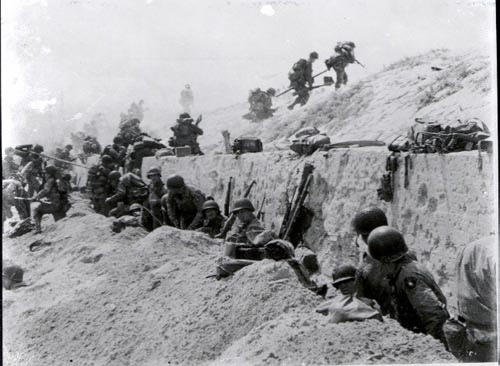 Eighty-one were lost on D-Day or shortly afterward, including fifty-five at Omaha Beach. At the same time the U.S. Navy had nearly four hundred in the Mediterranean and 2,300 throughout the Pacific, where the invasion of the Marianas was about to begin. The craft is familiar to moviegoers, as Captain Miller’s (Tom Hanks’s) initial appearance in Saving Private Ryan is aboard an LCVP. According to one table of organization, 470 tracked landing vehicles (LVTs) were assigned to Overlord. The ‘‘amphtrack’’ (amphibious tractor), or ‘‘amtrack,’’ was designed for the Pacific Theater of Operations, where most Japanese-held islands were part of atolls surrounded by coral reefs. Conventional D-Day landing craft like LCVPs could not cross the reefs and had to disembark their troops prematurely; the troops then faced a long walk through waist-high water, often into deadly fire from automatic weapons and mortars. In contrast, the armored LVTs, with their treads, could climb reefs and deliver the troops directly to the beach, thus reducing casualties. Because the French coast had no reef, few LVTs were deployed in Normandy, as the need for them was greater in the Pacific.